When President Obama and Chinese President Xi Jinping met in sunny Southern California this weekend, they did their best to focus on the (small) handful of things they could agree on. The US and China may not see eye-to-eye on issues like cyber-attacks, free trade, or Chinese currency manipulation, but the two leaders did manage to reach an agreement on one important thing -- a relatively simple move that could stand to massively reduce the effects of global warming over the next several decades. The two heads of state each committed to gradually reducing their countries’ production and consumption of hydrofluorocarbons, the greenhouse gas used in refrigerators, air conditioners, and other cooling appliances. Hydrofluorocarbons may linger in the atmosphere for a much shorter amount of time than their counterparts like carbon dioxide, but have warming capacities up to 3,830 times more powerful. The agreement is drawing praise from environmental advocates, who hope that this move from two such highly influential world leaders will lead others in a similar direction. 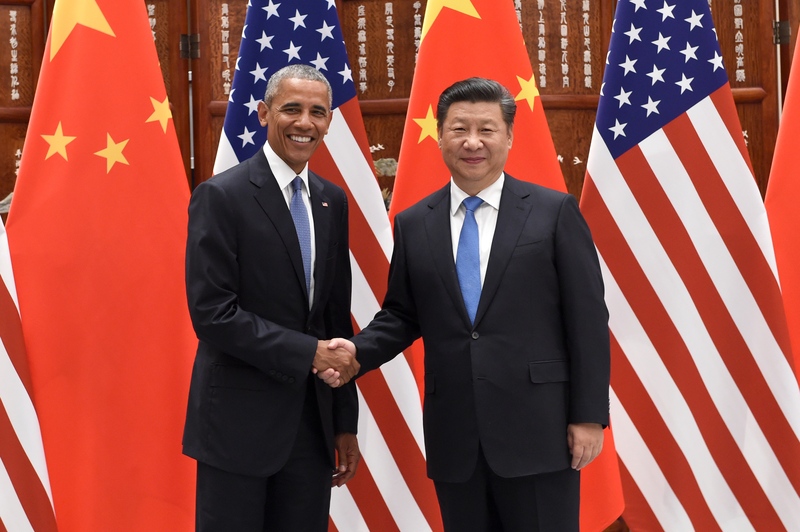 As far as climate change commitments go, cutting out short-lived pollutants like hydrofluorocarbons seems to be a low-risk move politically for both Obama and Xi. After all, new alternatives to these materials have already been introduced, and studies have shown that eliminating them has the potential to cut the rate of global warming and sea-level rise in half.